Everybody needs a little Finesse! 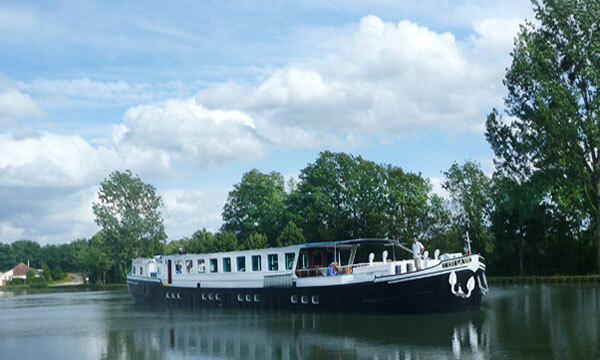 This elegant barge is the sister ship to Enchante (located on the Canal du Midi), and both barges are owned by the talented Roger and Louisa Gronow, who have been in the barging industry since 1995, and 1998, respectively. Now managing the barge from land, the Gronows oversee everything from the crew, cuisine, and excursions to ensure a flawless cruise. Their extensive background in boating and hospitality extends to the effortless balance of conventionally comfortable cruising with the convenience of ultramodern amenities found on the Finesse. Panoramic windows frame the expansive salon and dining area, which features contemporary furnishings and gleaming oak flooring. An open kitchen provides the perfect perch for “foodies” to visit with the Chef, while those who wish to relax on deck are more than welcome to enjoy the vessel’s hot tub. Expansive personal space and the pleasures of outdoor activities are also offer aboard the Finesse. 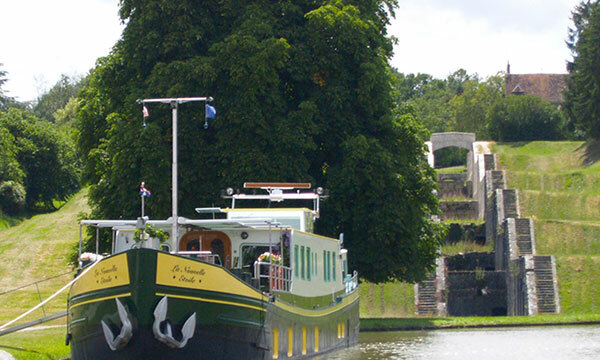 Luxuriously appointed, the four identical cabins at 265 square feet are among the largest on the French canals. Bucolic landscapes and placid scenery along the canal’s towpath invite active guests to take exhilarating bicycle rides or leisurely strolls. 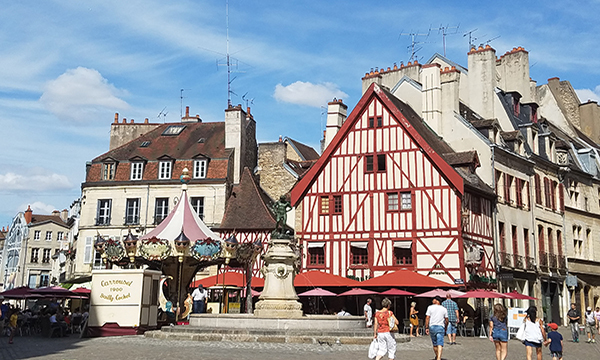 The handcrafted cultural programming presents a well-rounded view of Burgundy’s many attractions, including a visit to astonishing Roman ruins, a gastronomic lunch ashore at a Michelin-starred venue, and a private tour and tasting at a family-owned vineyard. In keeping with the region’s great tradition of food and wine, onboard cuisine focuses on seasonally-inspired meals, which are often paired with the area’s world-famous wines. In the afternoon, you will be met by a crew member of the Finesse at the designated meeting point. 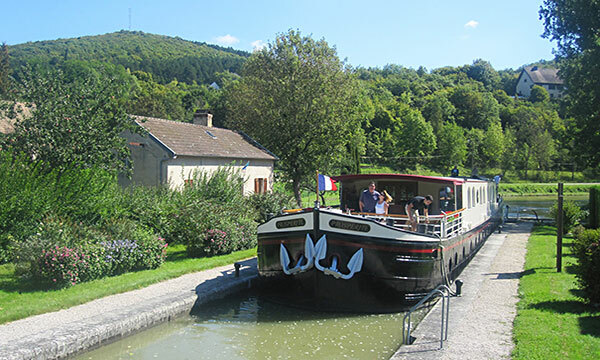 From here, relax as you are chauffeured to the barge, moored in the petite hamlet of St. Leger-sur-Dheune. A traditional champagne welcome and introduction to the crew awaits you, before your first gourmet dinner onboard. A morning cruise to the village of St. Leger-sur-Dheune begins the journey. Now is the perfect time to explore the towpath with a leisurely stroll or a gentle pedal. Or, laze on deck and admire the rustic countryside glide by. 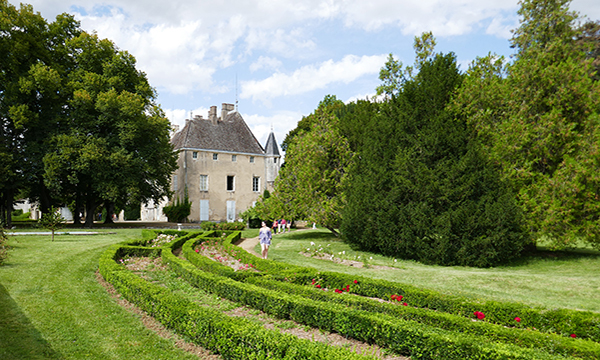 This afternoon, your Tour Guide accompanies you to the immaculately preserved 14th century Chateau de Germolles on the outskirts of Beaune for a private tour with the property's owner. You will be chauffeured back to Finesse for a festive cocktail hour and another gourmet dinner onboard. This morning, your Tour Guide escorts you to the town of Autun, which was first settled by Romans in the 1st century AD. Autun boasts two remaining Roman gates and a 17,000-seat amphitheater, the largest venue of its time. Moving forward to the Medieval period, the 12th century cathedral is renowned for its architectural sculptures and position on the pilgrims’ route from France to the Santiago de Compestela in Spain. 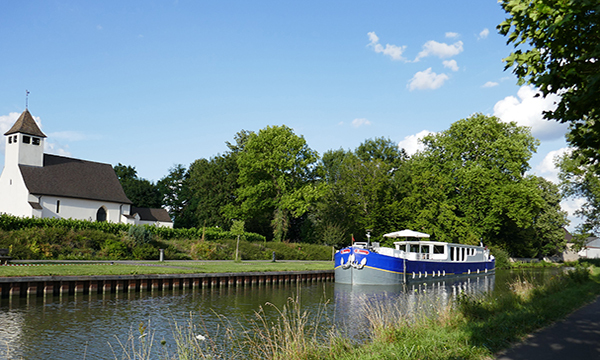 Back onboard, an afternoon cruise to the village of Remigny precedes another gourmet dinner. This morning, your Tour Guide accompanies you to the town of Beaune for a visit to the Hospice de Beaune, an immaculately preserved Medieval hospital built in the 15th century. Afterwards, browse the boutiques and galleries lining the pedestrian area, or enjoy a coffee in the town square. Lunch is taken at the Michelin-starred restaurant Le Montrachet. 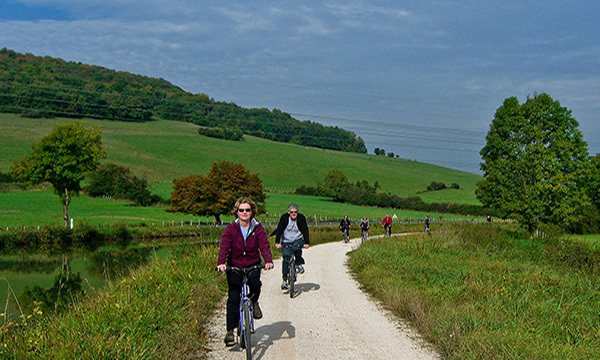 Return to Finesse for a cruise to Rully, and explore the towpath with a gentle pedal or leisurely stroll. Drinks and dinner onboard. This morning's cruise plies the final section of the Canal du Centre where Finesse moors in Fragnes. Relax on the deck with a cup of coffee and enjoy the rustic countryside, or explore the towpath by bicycle or on foot. Your Tour Guide chauffeurs you to the 18th century Chateau de Chamirey for a vineyard tour and a private winetasting. Now a family owned wine estate, some of the most prestigious Burgundian Premiers Crus are produced here. Back onboard, cocktail hour is followed by another gourmet dinner. This morning, Finesse traverses the River Saone en route to St. Jean-de-Losne. Enjoy a final leisurely stroll or gentle pedal on the towpath. This afternoon, your Tour Guide accompanies you to Clos de Vougeot, where Cistercian monks made wine in the 12th century. Explore the preserved presses on which these iconic Burgundian vintages were made. Then it’s back to present day pleasures with a winetasting in the vineyards of Romanee Conti. Return to the Finesse where cocktail hour precedes a celebratory Captain’s Dinner.